rebuild, repopulate, and rediscover the world of Verra. Cities will rise and fall, their fates determined through force of will and power. This is something you’ve never experienced before - a completely unique world that never stops changing. Ashes of Creation takes place within a medieval fantasy setting, blending imagination with cutting-edge graphics. We are putting the word massive back into massively multiplayer with unique and novel mechanics that will bring meaning to player action. Ashes of Creation will incorporate the best parts of traditional MMORPGs with innovative sandbox concepts. You will choose your fate at every opportunity. Questlines will open and close based on the interactions of the players with their world, because this is a world where choice is consequential. Monsters will roam and grow in ferocity as civilization disrupts the natural order of things. From the location of towns to the size of cities, you will determine the landscape of your world. It will be unique in culture, ecology, and economy. No two servers will experience Ashes of Creation in the same way! Ashes of Creation is a unique take on the MMO experience. Our world structure is dynamic and built to react to the actions of our players. Cities will rise and fall, their populations based on the history of the world as the players create it. 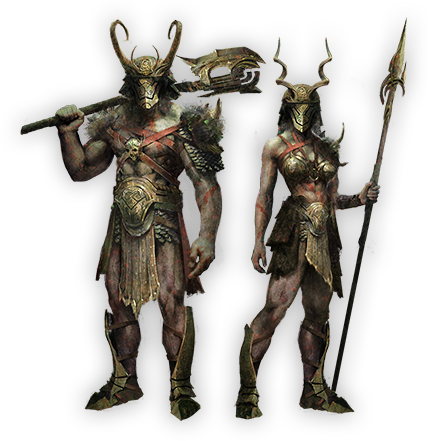 Quests will unlock as these populations gather, their needs grow, and secrets are unlocked. As the world’s NPC structure is established in real time, players will have the ability to destroy what they’ve created, paving the way for new development, new populations, and real change. Political strife and intrigue will play a very real role in the structure of your world. Gone are the days of static worlds, change is here to stay. Players will have the ability to survey and develop land anywhere in the world. Be a pioneer deep in the wilderness, build the home of your dreams, and work the land to cultivate resources and supplies. Alternatively, stick with civilization and safety in numbers – purchase a home within the confines of a village and watch your investment grow as that village turns into a city. Homeowners in our game will have the ability to develop their plot of land as they see fit. Focus on farming, animal husbandry, or own your very own smithy. You’ll be able to specialize your land to maximize your profits or your comfort – be sure to choose wisely. 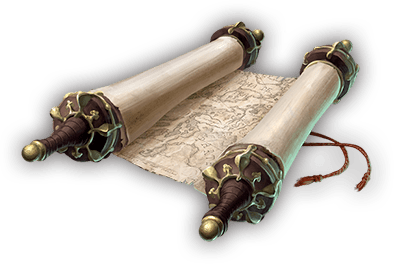 Questing in our world combines the best elements of traditional MMO’s as well as the introduction of our unique player driven experiences. 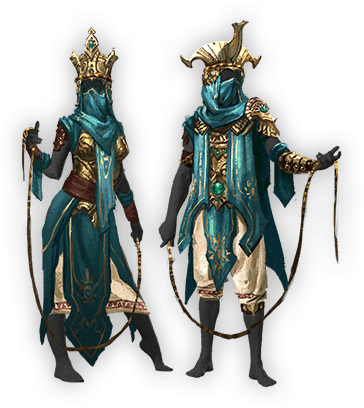 Ashes of Creation offers area quests, public quests, and quest chains that change dynamically and in real time based on the player’s experiences and choices. Players will have the ability to directly alter world events and change the landscape through their actions, as an individual and as a community. Server quests will allow political rivals to compete for the fate of the world. Throughout Ashes of Creation, the player has an opportunity to participate in massively multiplayer siege warfare. Since castles are likely the world’s most limited resource, it will be a task to secure and hold them. Involving hundreds of players on a single battlefield, our sieges will employ many moving parts and intricate design features. 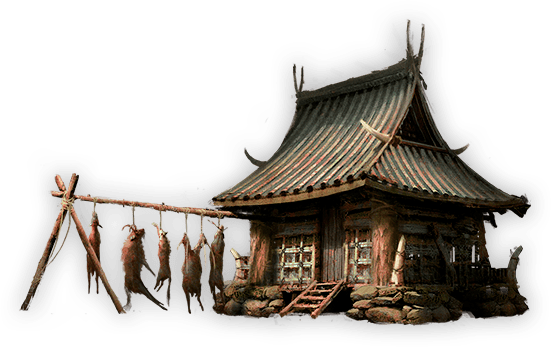 Because of the difficult nature of taking and keeping a castle there are great rewards available to the players for their efforts. Castles will allow players to exert control over nearby lands and allow for the development of unique buildings in the nearby towns. The environment in Ashes of Creation is a visually stunning realm, with fantastical beasts and creations designed to both inspire awe and instill fear. The world is harsh and unforgiving, presenting a clear and present danger to the players. 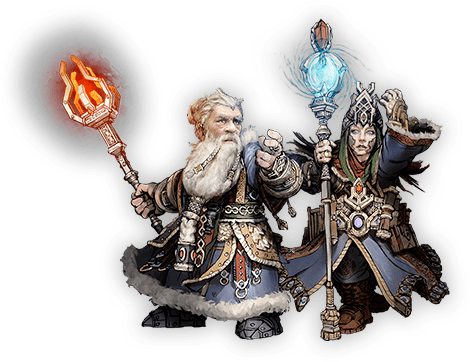 Dungeons, demons and dragons, oh MY! Our unique and adaptive AI means that an encounter with similar creatures will yield a completely different experience to adapt to as a player. Keeping you on your toes for constantly changing responses from your adversary. The world awaits its heroes. Player combat in Ashes of Creation is both vast and intimate. It spans many aspects of the game itself. From great political battles held on the fields of massive castles, to open world conflicts fought for the pride of Guild Leaders. A player can choose to participate in the fate of the world by swaying the tide of battle with his or her combat prowess. 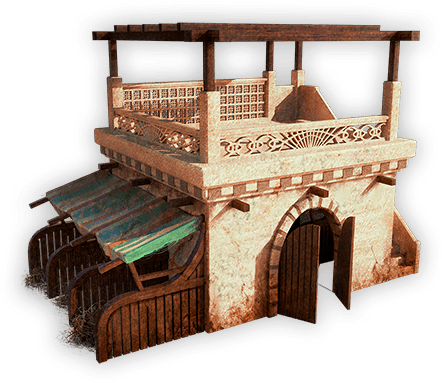 Our PvP mechanics follow a flagging system, as well as static PvP zones at certain points of interest; fight for control over cities, castles, caravans, or hunting grounds. Our PvP is designed to offer the players a well-balanced and fair world to shape through the pen, or sword should they choose. Our caravan system in Ashes of Creation revolves around opportunity and risk. 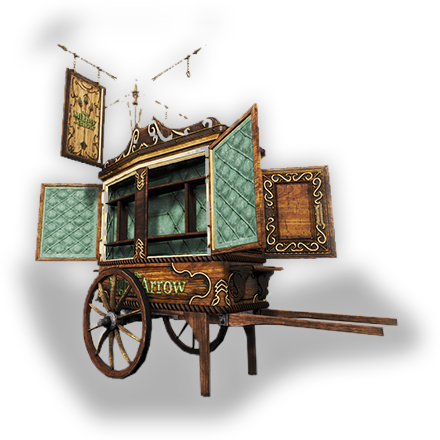 Caravans facilitate the transfer of goods for players wishing to turn a profit. 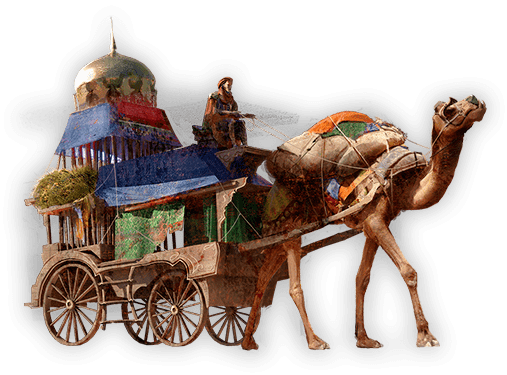 Initiating a caravan from one city to another will create a caravan that players will need to defend while it moves along its route to the selected destination. 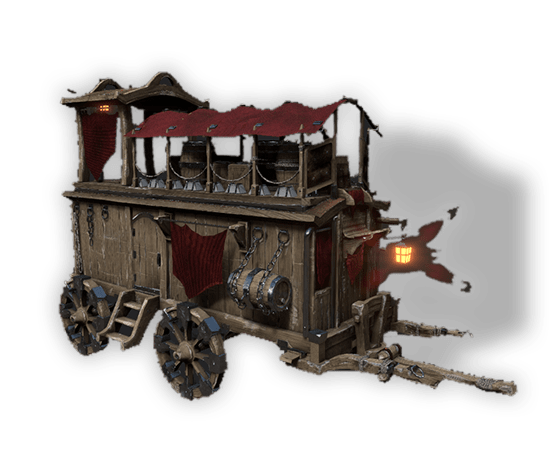 These caravans create a static PvP zone around them, allowing players to engage in PvP with the defenders and attempt to destroy the caravans in order to loot the content. These caravans will be integral in city development. 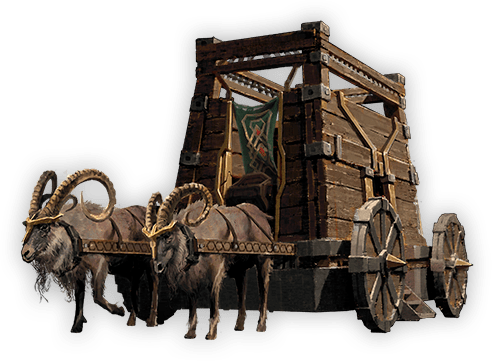 We want our players to have a reason to explore the wilderness, to travel with purpose, and much of that will be driven by our resource system. Transporting these goods might just be more difficult than gathering them. Our regional market system allows players to participate in creating pocket economies that will reinforce the stability of goods in particular regions. Players will be able to move resources and set up shop in other areas to take advantage of the varied markets. With resources spawning dynamically, certain regions will naturally become important trading hubs for the transportation of goods throughout the world. Crafting and gathering is a very important component of the economy that players will have direct control over. Whether you wish to build a sprawling plantation around your house, or wish to travel the vast wilderness in search of treasure and resources. There are many tools available to the crafters of our world. Regardless of how you gather your resources, we believe that every item that exists in the world should in some way reflect its creator. As such, there will be extreme versatility in our crafting system – giving crafters the ability to create unique items that represent their strengths and weaknesses. Sign up for our newsletter as an effort-free way of stay up to date with all the most important Ashes of Creation developments. As a token of our gratitude, you will receive a free, in-game mystery gift upon the game’s release. Think of it as a great way to get started in the world of Ashes of Creation.